This year is dapperQ’s inaugural VIP media presence at Club Skirts: The Original Dinah Shore Weekend in Palm Springs. 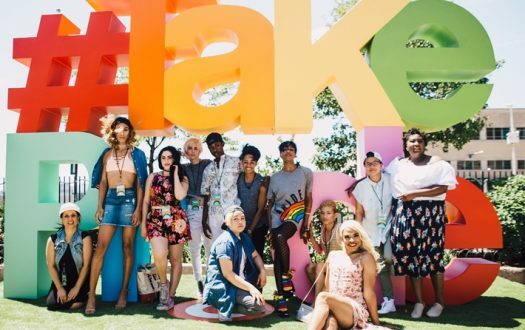 And, we couldn’t think of a better year to join the Dinah family, because the lineup of celebrity andro, butch, and transmasculine performers is impressive. Of course, we wouldn’t want to be there without our readers. So, we’re giving away ONE weekend pass to TWO lucky winners. 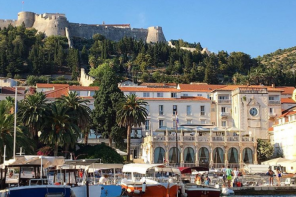 Each weekend pass, valued at $249 a piece, includes a +1, allowing the winners to bring a guest. 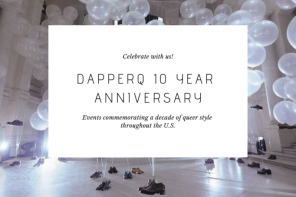 To enter, simply let us know in the comments section below which dapper Dinah performer you would be most excited to see. 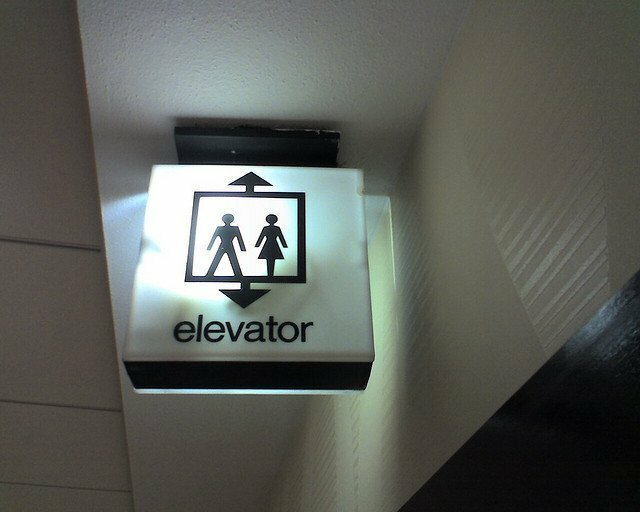 Entries must be made no later than 12:00AM EST February 9, 2016. Two winners will be selected at random. One entry per person. Mary Mac is an icon and pioneer for female DJs. Her impressive DJ chops has taken her around the globe to spin for world-class events and celebrities. From her origins touring with Def Jam to her residencies at upscale nightclubs across the globe, DJ Mary Mac has arrived! Early on, DJ Mary Mac was inspired by Grandmaster Flash, DJ Camilo, and DJ Yoni to create and perform exuberant, addictive sets. While DJing for a trailblazing female gangsta rapper, Mary Mac was embraced by NWA, Easy-E, and Snoop Dogg as one of their own. Now, with a combination of passion and cultural music influences from her Haitian background, Mary Mac stands as an irrepressible force and is one of the most sought-after female DJs. 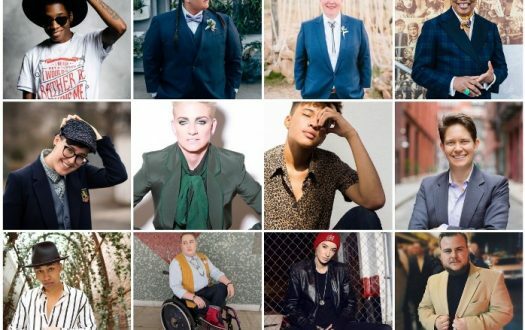 An indisputable triumph in the NYC DJ community, DJ Mary Mac shows no signs of losing steam as she is not only making her mark in the lesbian community but as well in the nightlife scene. 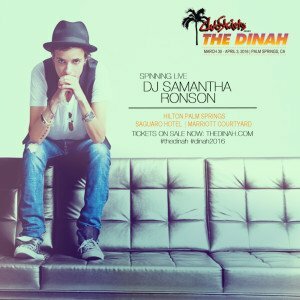 Celebrity DJ Samantha Ronson is about to tear the decks at the biggest lesbian event in the planet of its kind: The Dinah. She’s selling out clubs around the world and has become celebrities’ “it” girl when it comes to putting the needle on the hottest records and keeping the beat going at their private parties. Samantha Ronson is one female DJ who can seriously throw it down. “Samantha Ronson is one of the premiere celebrity DJ’s, but she’s also the real deal. Our crowd is going to be blown away at her talent, energy and presence. I’ve wanted to book her for years so for me, it’s an extra bonus that I am finally able to headline her at The Dinah,” comments Hanson. Making a music career as a professional DJ was never far-fetched for the London native. Samantha Ronson comes from a significant artistic lineage. 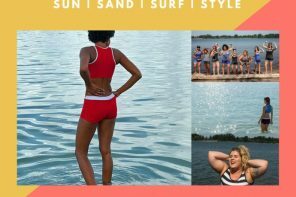 Her stepdad is Mick Jones, the legendary guitarist of the iconic rock band Foreigner; her brother, Mark Ronson, is a Grammy Award-winning producer famously credited with making Amy Winehouse a household name; and her sister is a famous fashion designer. With plenty of talent to go around in her family, the Venice-based artist holds her own DJing the biggest parties and clubs all around the world. Her electrifying live set will leave you wanting more as she pushes her sound, along with the crowd to the limit. Ask the likes of Stevie Wonder, Ellen DeGeneres, Nicole Richie, Natalie Portman, Jay-Z, and Lionel Richie, to name a few, who solicited Ronson’s extraordinary DJ chops. What an accomplishment for someone who fell into DJing by chance. 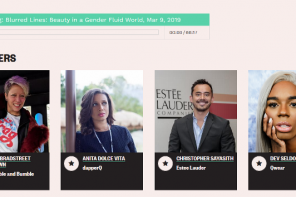 With her finger on the pulse of today’s hottest tracts, she’s quickly risen through the ranks in this heavily male-dominated industry, and carries now a professional dossier that certifiably rivals some of her better-known male DJ counterparts. 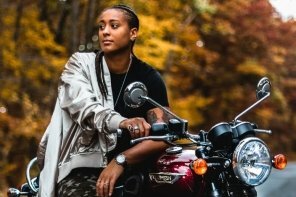 Ronson has spun live for MTV’s New Year’s Eve show from the network’s studios in Times Square, as well as at the Super Bowl, Pan American Games, Sundance, Cannes Film Festival, the VMA’s and AMA’s (among others) and has helped push the music scene forward, perpetuating the growing movement of women behind the decks. Whether it is DJing or dabbling in other creative fields, Ronson hardly ever stops. Today she continues to work her magic on the dance floor and to bring something different to the turntables. Don’t miss her live Dinah DJ set … she’ll bring a whole new ballgame to the table! 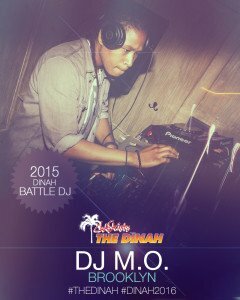 DJ M.O. 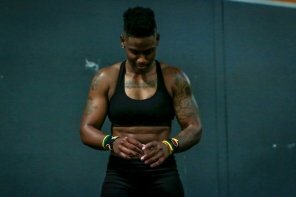 (Monet Bernard) is a native of Virginia and began her career as a DJ in her third year of college at the University of Virginia. As an avid lover of music, M.O. 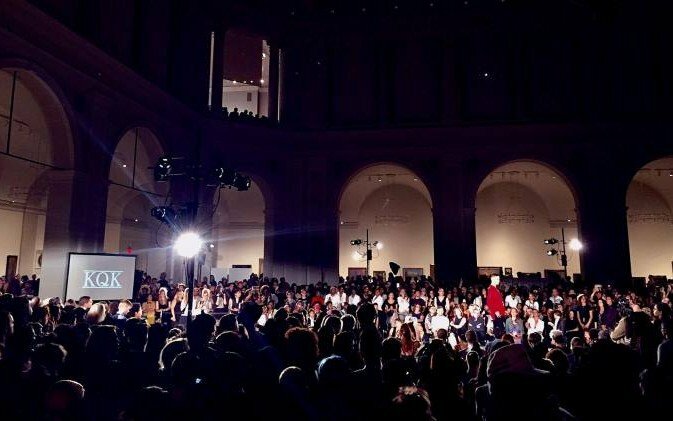 honed her skills by working anything from basement parties to large university events and eventually started working events in Washington D.C. After two years she moved to New York City and has never looked back. Since her time in New York, M.O. 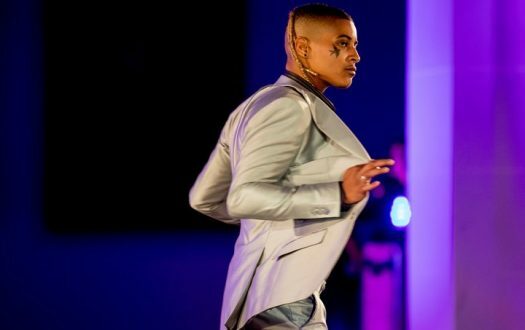 has made her rounds in the LGBTQ scene, DJing for the likes of Whitney Day, Hot Rabbit, Truckstop, DapperQ, and Club Skirts Dinah Shore Weekend, where she was a participant in the 2015 Battle of the DJs. M.O. 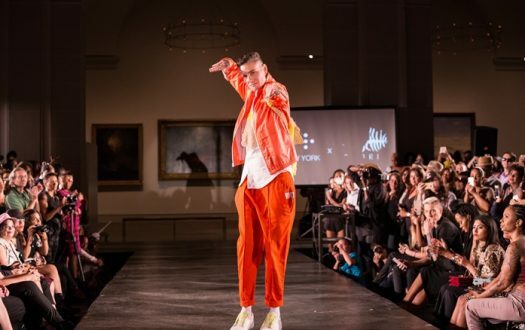 has put her musicality and versatility on display at some of the biggest venues in the city including Marquee NYC, The Park, Avenue, Studio XXI, and Gramercy Theater. GoodBoy, aka Morgan Hildebrand, a Los Angeles native, lives & spins the California way—with good vibes and electric energy. Although her DJ career began just a few short years ago, her passion for deep house & electronic funk, along with her iconic look and engaging spirit, has shot her to the top quickly. 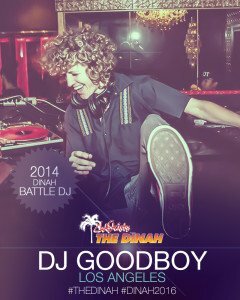 In a very short time, GoodBoy has performed for Pride weekends in Los Angeles, Palm Springs, Austin, Chicago and San Francisco, the first annual Battle of the DJs at The Dinah 2014, and then as an official Dinah DJ in 2015 and now 2016. 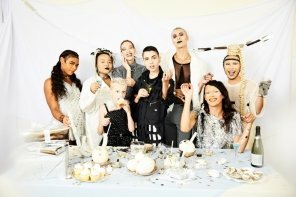 GoodBoy forged her own vision through founding Milk Milk Lemonade, B.O.Y. Night L.A. (Be Only You), and Thirst WeHo, successful queer parties in Hollywood. 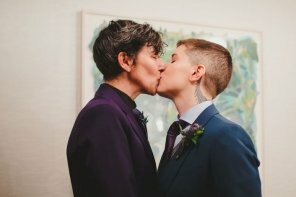 As an all-around artist, GoodBoy’s work has been featured in GO Mags “100 Women We Love” for her adventurous vlogs with CherryGrrl & Club Skirts, as well as “Rad Queer DJs” with AfterEllen.com. Morgan credits her success to her strong Dinah roots and is thrilled to return to bring The Dinah family another great show. GoodBoy’s beats are sure to keep the party lively and funky, with all-encompassing feelings of positivity. All smiles, all the time—this is one show you don’t want to miss! 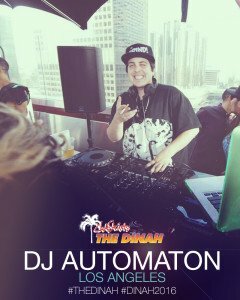 DJ Automaton (Vincent Domini) grew up in Portland, Oregon and is currently based in Los Angeles as a DJ, Musician, and Event Producer. He is known for parties such as The Grind!, Mugshot, Portland’s Gaycation, guitarist/vocals for the punk/grunge/metal outfit Brother, drummer in Swan Island, XYX a weekly house, 90’s hip hop & R&B party, and CAKE a trans hip hop monthly party in Downtown Los Angeles. 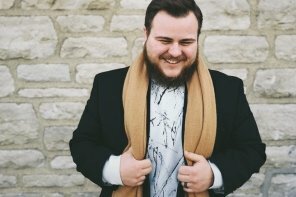 He’s influenced by a wide range of genres from psychedelic, punk and funk of the 60’s and 70’s, hip hop of the late 80’s/90’s, and 80’s/90’s grunge and goth. It’s 2001, and Valerie Ganda, soon to be DJ Val G., begins her journey with a pair of turntables, and a few way-back records. 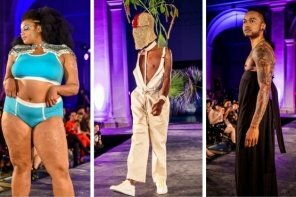 By 2008 however, she blazes into the industry as a serious contender and humbly emerges from obscurity into the San Francisco nightlife circuit. Since then, her catalog grows with each drop of the needle, having played everywhere, from house parties to mega clubs, and featured in everything from homegrown televised documentaries to larger than life community events, including the world-renowned SF Pride event championed by 100,000+ supporters and onlookers each year. 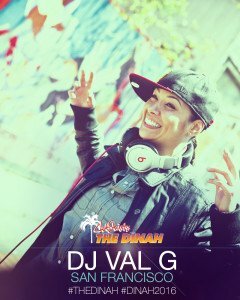 DJ Val G. now rocks crowds throughout the Metropolitan Bay Area with a unique brand of style and background. 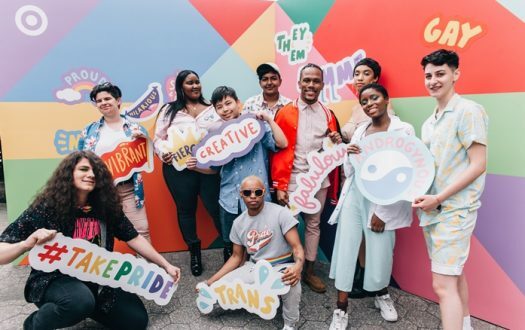 As a proud member of the LGBT community, Val G. often plays in both gay and mainstream/hip hop nightclubs with a cautiously optimistic vision to bridge the gap between the two. Inspired by DJ legends such as Jam Master J and Beat Junkie, Mr Choc, Val G. has played with a range of artists including Tha Dogg Pound’s Warren G, lady legends Eve & Lil’ Kim, and Bay Area Natives such as E-40 & Too Short; just to name a few. She currently resides in San Francisco and plays at several local nightclubs as well spinning on-air every weekend on the Bay Area’s new station for Hip-Hop and R&B HOT 105.7 & 100.7fm. While she plays to the masses, her style is nothing short of original, and while many DJs offer little more than a playlist of cheap gimmicks and placebos, DJ Val G. plays strictly organic, breathing new life into the crowd with each revolving record. Live and listening, her fans range from devout music lovers, to movers, shakers, even love makers, and her quest to move the crowd continues. LeahV aka Leah McFly, is an award-winning, Boston-based DJ/producer who has been actively working in nightlife for over ten years. 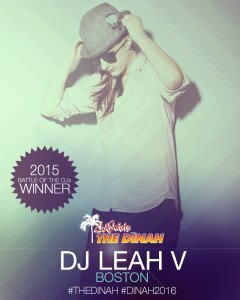 Recently nominated a sixth consecutive time for a Boston Music Award (and a win in 2011/DJ Artist of the Year), Leah is riding a wave of substantial and steady bookings to the top of the DJ game, finding herself on a list of not only the “Top 10 DJ’s in Boston”, but also the “Top 100 DJ’s in the Country” (Sun Times/2014). After 16 years of learning the craft, she’s still out to perfect each party. Her seamless, genre-blending sets, in addition to her innate ability to read just about any crowd have made her a staple in the Boston scene, and a commodity on a national level, booking events and residencies in New York, Miami, San Francisco, DC, Philadelphia, and beyond. 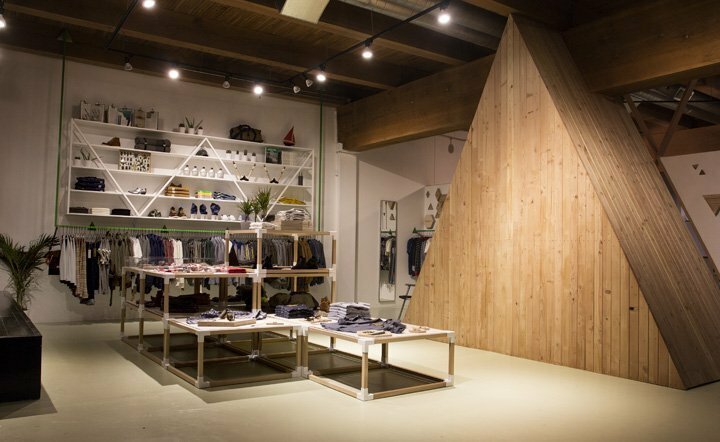 Leah is also well established as a music curator for major brands such as Nike, Converse, Conde Nast, and Hearst Media, bringing the aural aesthetic of each brand to life. 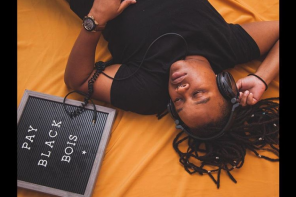 Known to many as “The People’s DJ”, she has managed to blur the lines between the sexes in an intensely male-dominated field, drawing the focus away from gender, and placing it solely on skill…as it should be. If there is just one thing in this world to bring people together, it’s the power of music. Not many DJ/Producers can say they’ve got what it takes to break through the subtle music barriers between several diverse groups, but then again none of those DJs are DJ Citizen Jane. The Cuban-American, Miami-born Pied Piper of the decks has been whistling her own unique tune and now is one of the most in-demand DJs in the country. 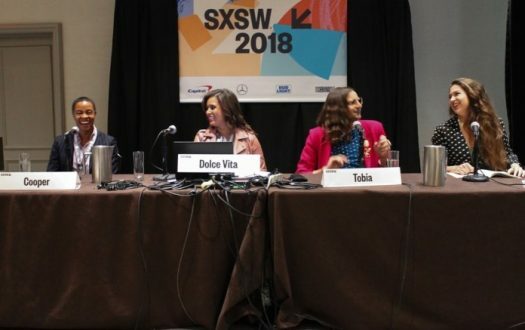 Her resume reads like a circuit party passport that keeps growing every year and she’s reached international status turning out parties in Spain, Argentina, Calgary, Vancouver and Puerto Rico. 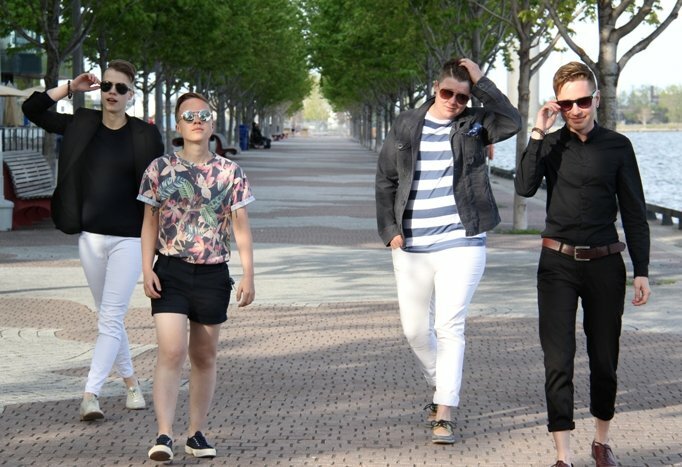 Citizen Jane is the 2014 and 2015 Pink Flamingo Awards winner for “Favorite DJ” voted solely by the public. She was featured and interviewed on Bump and Logo TV as the “Hottest Female DJ” in Miami. 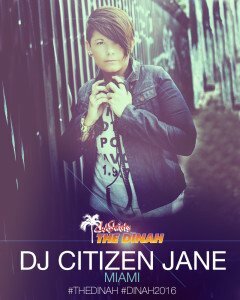 2016 already has DJ Citizen Jane lined up in various Pride and Circuit Events in and out of the country, but her top favorite is playing The Dinah and setting the dance floor on fire for the thousands of beautiful ladies that come to let loose to her beats. 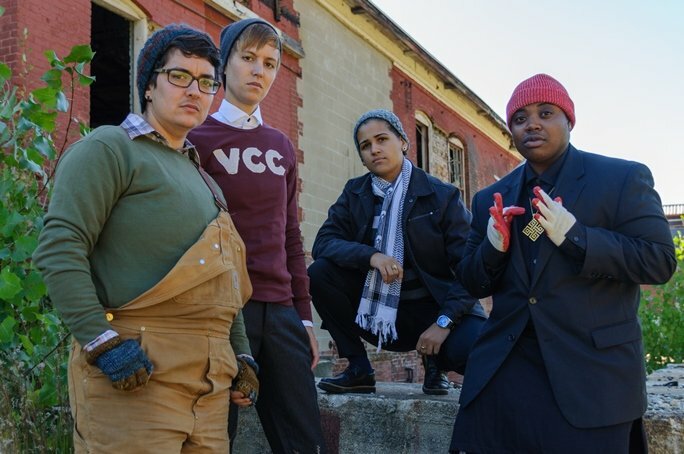 I mean, can you even STAND how hot this andro, butch, transmasculine DJ lineup is? And, this isn’t even the full roster of DJs and dancers. Check out the full list here and don’t forget to enter our Dinah giveaway with your comments below! Good luck and see ya by the pool! 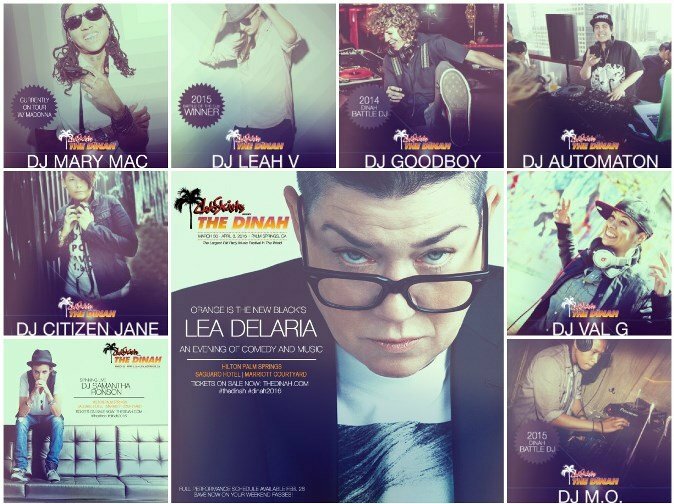 Would love to see Lea Delaria and DJ Leah V!! Need to see Leah DeLaria. She’s da BOMB! Can’t wait to see Lea Delaria! I’d love to see DJ Samantha Ronson!! What do I gotta do to get these TIX?! Would love to see Sammy Ronson buuuut also excited to hear DJ MO in a new location. I lived in Portland for many years so I’m going with DJ Automation. 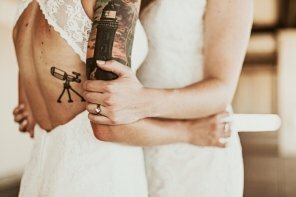 I spent my 20s and found it to be full of lesbians, queer women, transguys. And I have never been to Dinah. So please pick me! 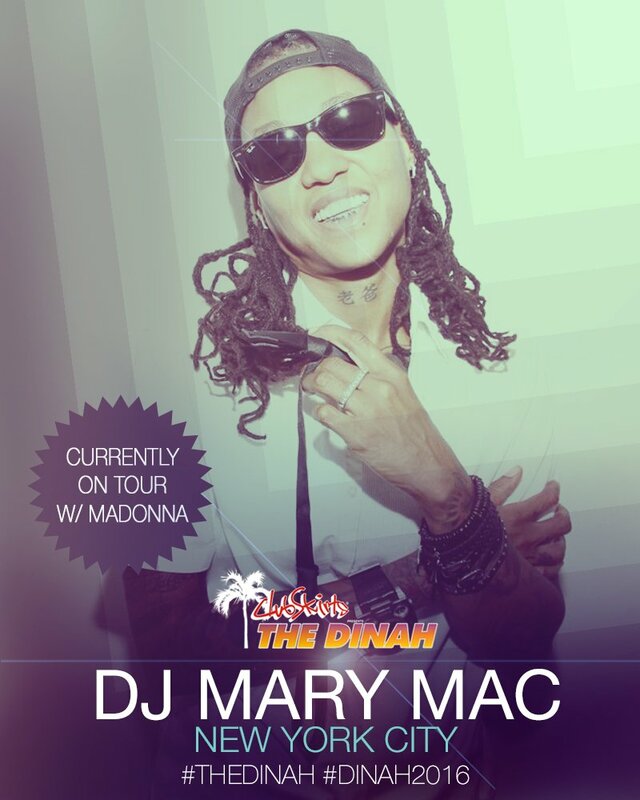 I want to see DJ Mary Mac! 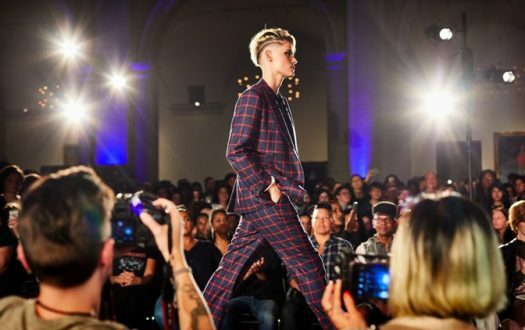 DJ Samantha Ronson has got it going on… and her mad style just kicks up her stock! All in! All in! Lea Delario and DJ Samantha Ronson!! 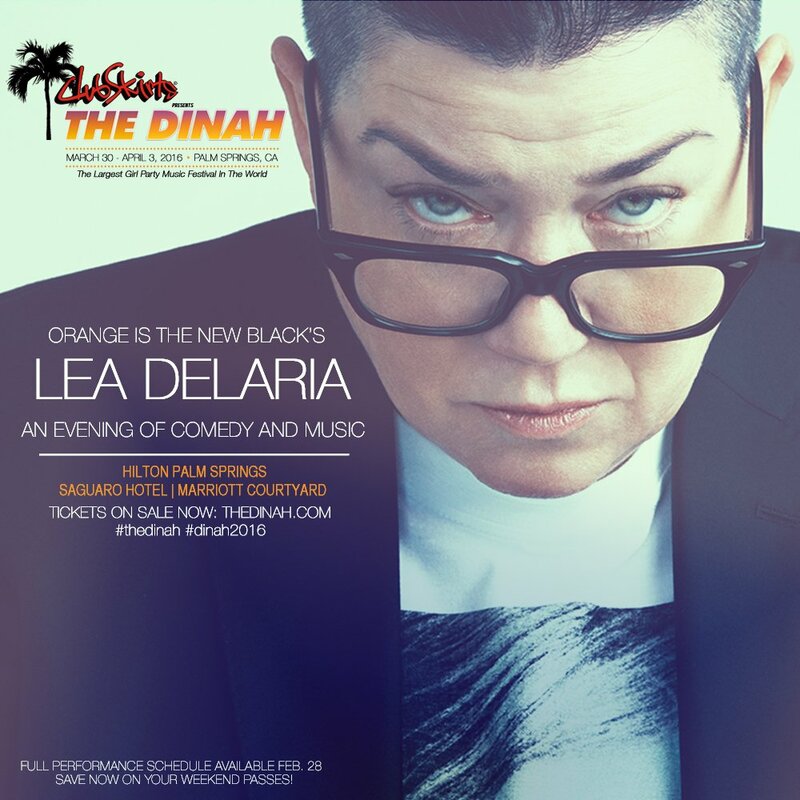 I would love to see Lea DeLaria! Everyone – but seeing Lea DeLaria would be incredible! It would be a great pleasure and honour to see the lovely DJ Mary Mac????????????????????? ?